Shopping for Disney Princesses Roleplay? Wooden vanity playset stands over 3-feet tall! Made from premium-quality furniture-like wood. Features 3 accessories and intricate detailing. 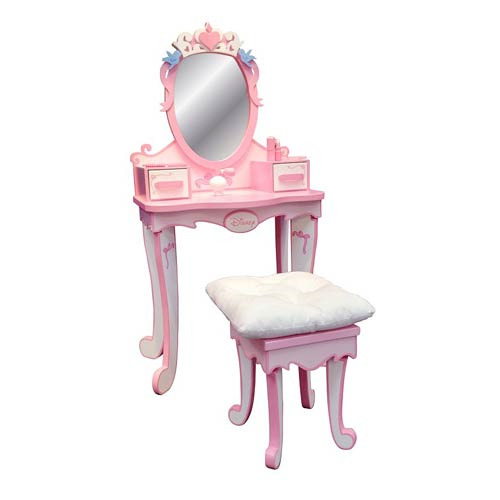 The Disney Princess Royal Vanity Wooden Playset by Wicked Cool Toys is made from premium-quality furniture-like wood and features classic beauty play, 3 accessories, and intricate detailing. Standing over 3-feet tall, it's a delightful addition to any little girl's bedroom. Assembly required.